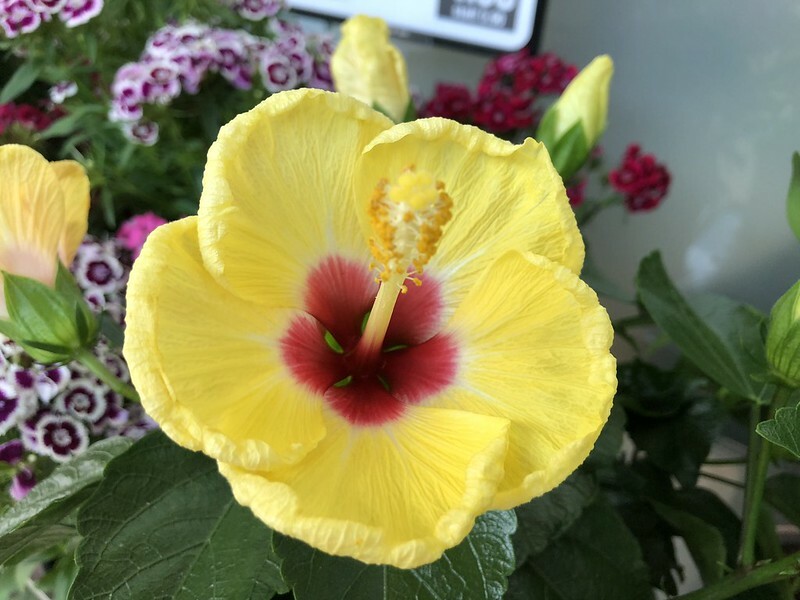 I love hibiscus, but this sort I only ever see in the store. I agree. You don’t see them in people’s yards. It is not in local gardens because it is the tropical hibiscus. It is grown only as a houseplant where winters are too cold for it. It does well in Los Angeles and San Diego, although they have become less popular since the giant whitefly moved in. The giant whitefly sounds like something from a Stephen King story. It could have been. They were really weird, and made a weird waxy mess on the hibiscus that the infested. Thank you for offering your knowledge of that. We grow hibiscus in Adelaide, but perhaps not the tropical variety. Oh! Adelaide! Your climate is supposed to be very similar to that of San Jose! If so, you can grow all of the deciduous hibiscus, as well as the tropical hibiscus if protected from frost. They are marginal here, so might be more difficult there if your winters get just slightly colder. They can grow into large shrubs, but the foliage can get frosted in winter. Otherwise, they are grown in pots and moved to sheltered locations for winter. If you do not see them there, it might be jus because they are not very popular. I don’t think I’ve even seen it in the store. Roses, chrysanthemum, daisies, and verbena. And the occasional exotic I don’t recognize. That’s pretty much it. We grow hibiscus in the garden, but they are the winter hardy sort. I had three bushes. LOve all the photos, especially the ones of the hibiscus. We brought ours inside because of the frost now, and will struggle to keep them alive and happy all winter. Hopefully by mid March we can return them to the unheated back room where they can get sunlight through the windows.